After years of political crisis and two cancelled elections, Macedonia's nationwide poll finally took place on the 11 December 2016 (although two regions must have despaired as they were dragged to a re-vote). Despite succeeding in holding the EU-brokered vote there is now political deadlock between Parliament and the President that shows no signs of abating. The previous opposition party, the Social Democrats, successfully formed a coalition with a working majority. President Gjorge Ivanov, however, with ties to the sitting VMRO-DPMNE party, refused to grant it a mandate, ostensibly because the coalition comprises Albanian-minority parties and in particular its support for a bill that would officially make Albanian a second language. Pressure from the EU and the USA has done little to convince President Ivanov to change tack and, with both sides wary of calling fresh elections, the country looks set to be gripped by political instability into the foreseeable future. 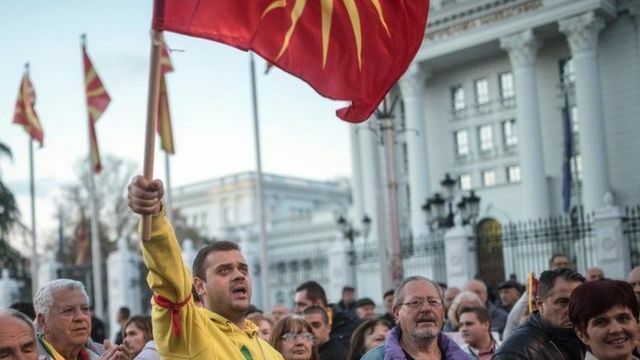 Macedonian President Gjorge Ivanov has refused to grant a coalition of Social Democrats and ethnic Albanian parties a mandate to form a government. "I cannot give the mandate to somebody who threatens the sovereignty of Macedonia," said President Ivanov.